Remember when President Trump allegedly referred to many African nations as “shithole countries”? Soon after in Davos, he met with Rwanda’s President Paul Kagame and head of the African Union. 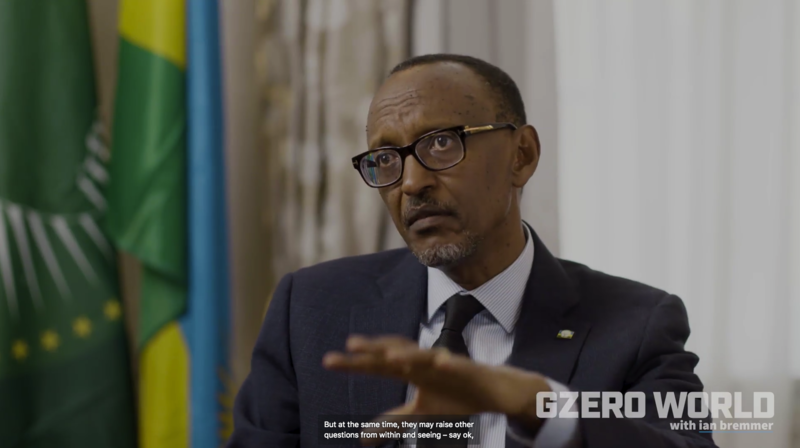 In an interview with GZERO World with Ian Bremme, President Kagame recounts that somewhat…sensitive…conversation. Below is the transcript of the interview. Ian Bremmer: I want to start just with the state of Africa because a lot is going on now. We have had a surprise transition in Zimbabwe. We have had maybe a little less of a surprise transition in South Africa. 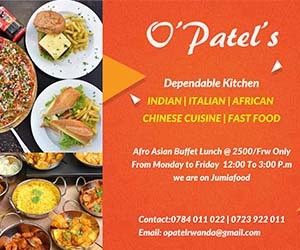 We have had another surprise transition in Ethiopia. Do you see any common thread going through all these changes? Paul Kagame: Africa is more integrated in the rest of the world. This connectedness informs people and drives people to do things they want to do. It raises the level of aspirations and there is always going to be one or the other where that correction is made so that the demands and aspirations of these people are met. Bremmer: That certainly helps to explain Zimbabwe in a big way. It helps to explain South Africa. Ethiopia of course has been talked about as one of the economic miracles in Africa. Kagame: Ethiopia still remains a good performer in terms of the kinds of developments that have taken place; growth of their economy. They are doing a lot of good things for their people. There is no doubt. But at the same time, there may arise other questions from within and saying, okay this is fine. We are doing this but maybe there are political issues here you have to address. The fact that for example the Prime Minister resigned, that is a very healthy thing. This means that he did not for instance say, you know, let us fight it out and the winner in the end takes all or something. He said, no, if my resignation having been there and associated with everything that was going on, is going to open up for more integration, different actors that act in different interests for the people of Ethiopia, if that is what it means, I am giving in for that. I think that is a good thing. Bremmer: You know what I will have to ask, of course, in that regard that you have now been president with one of the most exceptional economic stories in Africa, but also one that has been criticised for being too politically closed. Do you take any personal lessons from what is happening in Ethiopia right now? Does it change the way you think at all? Kagame: I think you are always going to look at any situation anywhere in the world and want to relate it with whatever is happening even within your own country. What makes my country different as of now is that at least so far so good. With what the country is doing and the measure, is simply on the expressions of the same people. The difference with what has happened in my country and with any other case you may refer to is that when it came to 2017, I actually wanted to go. The change that happened in the constitution had entirely nothing to do with me. Well, it had to do with me in terms that it affected me where I had to stay, but my choice was to leave. Bremmer: You are legitimately very popular in Rwanda right now, not just in 2017. Right now it is very clear. Why take tough measures against the media in your country when there is already so much support for you? Kagame: Rwanda is the most connected country presently in Africa. People have their mobile phones, and they are connected. If you look at the things that they say on their platforms, there is no censoring, there is no blocking of anything. When they talk about media, I do not know which media they are talking about. Bremmer: Another measure of success for a leader is what comes after. I wonder how you are thinking about a generation grooming a set of leaders who will be able to take the country forward especially if you are ready to step down a couple of years ago. What were you thinking about who is next and who is the country ready posts? Kagame: I did not have to think so hard about who is next in terms of making it particular. Kagame: This is what I am saying. I was comfortable that from the pull of people we have, actually we would find one that is from my position, my viewpoint. And for the simple reason, for the last 24 years, we have been there in different capacities. But we have actually educated, trained our people. We have had others who were stateless outside of the country who have come back. The amount of investments we have made to develop people, and to develop skills and these different capacities that would even be required, and the level of their participation even in the politics of or country is such that I am comfortable that come the day when people decided that.. not only I do not only have to wait for that, what we have gone through has been an issue of timing because it is like people said no, give us more time. It was not like stay there forever. That is the way I understood it, and I think that is the way it is. Bremmer: You met with my president just a few weeks ago. President Trump controversy on Africa was right after he made his comment about the whole continent. Did you ask him about that? Kagame: In a way that is more civil than people would have expected. You naturally had to talk about that. But also with the background that it is as if no one was sure of what was being said. Because people, including himself, was being misrepresented or they did not hear it, others heard it. I did not find it correct that I would dwell on such. As you said, Trump being the president of the United States, I am more interested in how Africa and the United States can come together. Bremmer: Did you come away with anything specific? Kagame: Yes, because in fact, after that the president wrote a letter to the African Union, expressing how he wants to work with Africa and African leaders and even mentioned my meeting with him in Davos, which message for me was important enough that he was reaching out and saying that he means to work well with Africa and that he is serious about it. For me that was the most important thing. Bremmer: As you said at the beginning of the interview that Africa is doing a lot more for itself and that is a positive thing, absolutely. But in part, that is also so necessary because there is been so little from everyone else. Kagame: The less attention other parts of the world pay to Africa, the better for Africa, because they have been paying wrong attention. They have been paying attention to Africa as just a basket case, which is not correct. We will therefore on that basis work with different countries or different parts of the world more as partners. I think this is what you all intended to see as partners. If it is China, work with China. China works with the United States and Europe works with China. Everybody works with everybody else. We are asked these questions every day. So what is China doing in Africa? As if there is something sinister going on. If there is, it is not China entirely to blame. I think, even we Africans should take the blame. Why would you allow somebody to come and relate to you in an exploitative manner or doing wrong things and taking more than they are bringing to you? I think it is not them to blame alone, but we ourselves should take responsibility for that. I think that is what is at the heart of the matter and the thinking we have in Africa to look at how we relate with people in the rest of the world.